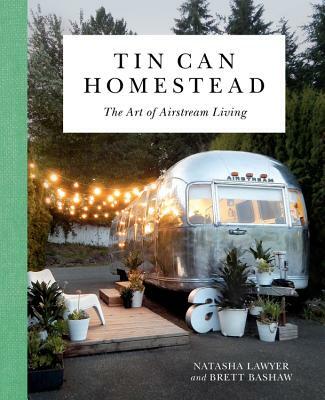 DIY enthusiasts, tiny house-lovers, and van-lifers will find inspiration and step-by-step instructions in Tin Can Homestead, the ultimate resource for living small in your own Airstream paradise. The Airstream trailer is the ultimate symbol of vintage wanderlust-and the classic touring vehicle's resurgent popularity has dovetailed with the tiny house movement, resonating with design-minded individuals looking to live small. Tin Can Homestead, based on the popular Instagram of the same name, is the ultimate resource for these would-be DIY-ers, and the perfect coffee-table addition for anyone looking for streamlined, modern lifestyle inspiration. Part practical how-to, part lushly illustrated design inspiration, Tin Can Homestead follows the story of one couple as they build themselves a new life in an old Airstream. Through personal stories and down-and-dirty checklists, this book guides readers through all stages of creating their own Airstream homes-from buying a trailer to plumbing and electrical work. With a hip, bohemian aesthetic and a fresh authorial voice, the authors pair their DIY knowledge with lifestyle advice-including décor, design, and entertaining-and abundant illustrations, from in-process photographs to hand-drawn illustrations. Natasha Lawyer is an illustrator by trade and brings her skills as a former designer at Anthropolgie to their airstream project. She grew up woodworking with her dad and has worked as an apprentice electrician. Natasha has always had a love of beauty and is the designer and builder behind the airstream. Brett Bashaw works with special needs students and is currently pursuing a university degree in social work. A born dreamer, he has has been expanding his building skills throughout their airstream process. Natasha and Brett live with their two tiny Yorkies, and are currently building a farmhouse and pottery studio in the Vermont woods. Visit them on Instagram @tincanhomestead.